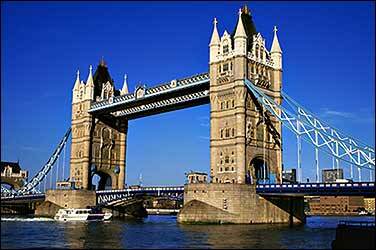 Tower Bridge is one of the world’s most famous bridges. 150,000 vehicles cross it every day. Over 900 times a year the roadway parts and lifts to let tall ships, cruise liners and other large craft pass through.